I love noodles. Well, I love pasta, but noodles are close enough. So it’s a hobby of mine to order pasta and noodles at restaurants, no matter how silly it is. Because there are a billion items on a menu and my eyes are always set on the Pasta section. 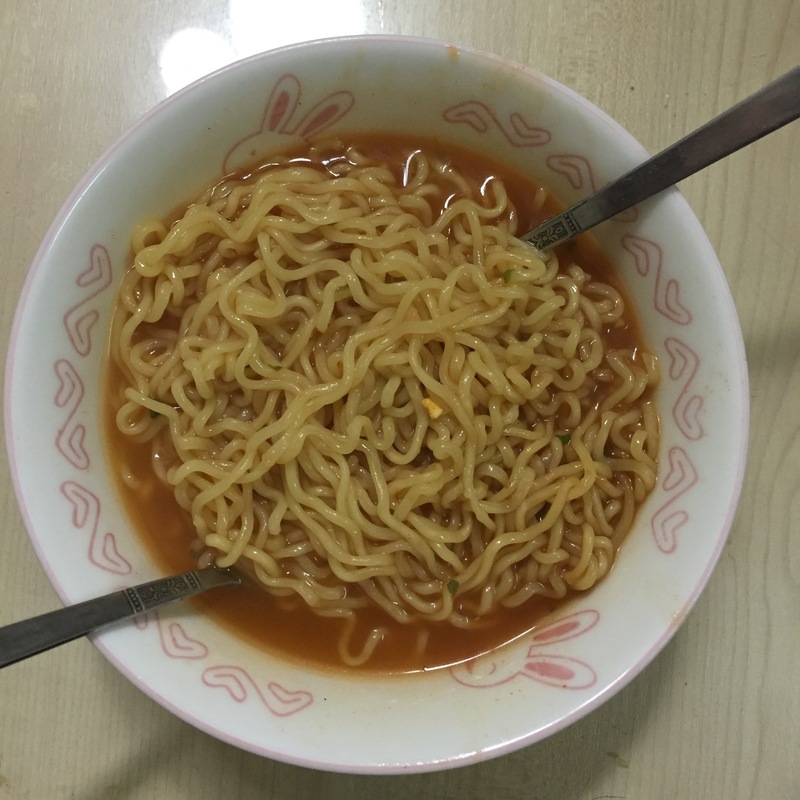 So, there was a huge buzz on the spiciest noodles around by Samyang, and of course I had to try that. So the first time I tried this was, around a year ago, I believe. And it was good. To be honest I had no idea what flavor it was, other than it burned. I got Kylie Jenner lips when I cleaned my plate. For like a good hour. It’s like eating noodles with some really hot sauce. Your tongue feels numb after awhile, and the heat creeps upon you slowly until you feel the burn in the back of your mouth, and in your stomach. But, I love it. I always have this stocked at home. It ain’t comfort food, but it makes you warm. Or burning. The portion isn’t too small, it’s actually pretty good. Like, you don’t need to snack on anything else after this because you’re actually full. Should’ve posted a video of my sister’s boyfriend eating this. It was tears and sweats, and my sister was seated next to him, drying his tears and sweats. He cried, and well, most people would. Then this Samyang happened. 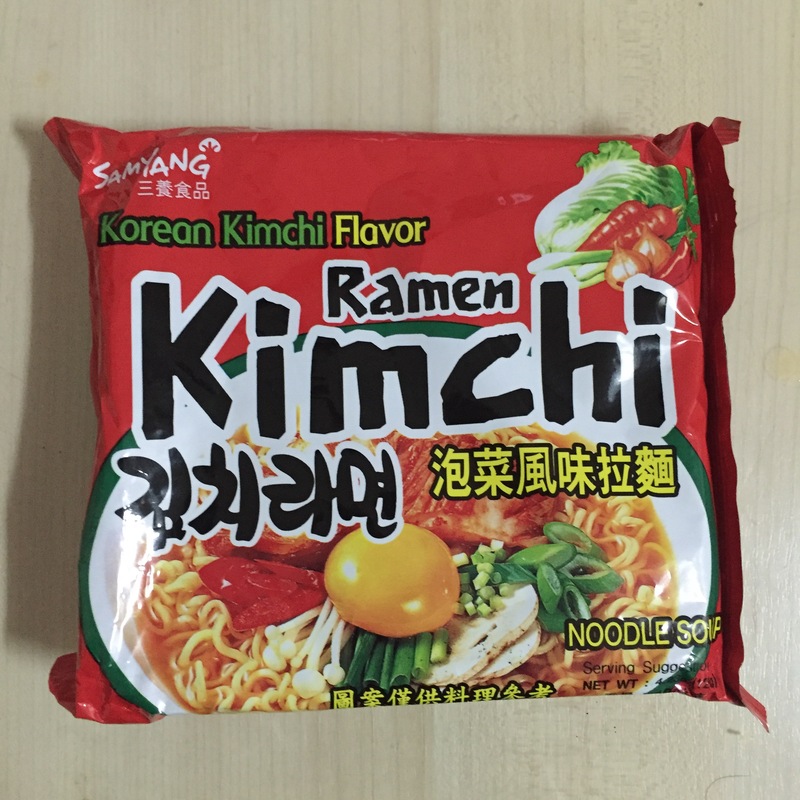 But it says Ramen Kimchi that I can read. It actually tasted like kimchi! I thought it could use more salt, but I didn’t add anything else to it. It’s sour, kind of sweet, and it got heat. It wasn’t spicy, but it was warm. And it got soup, so it was a perfect comfort food. Of course, it’d probably be better if you just made the kimchi soup yourself. I love kimchi jiggae. Portion was good, it was pretty filling. I probably wouldn’t want this anymore, or buy this anymore unless I couldn’t find anything better at the grocery store. To be honest, this tastes just like a lot of the other noodles that I couldn’t say much. 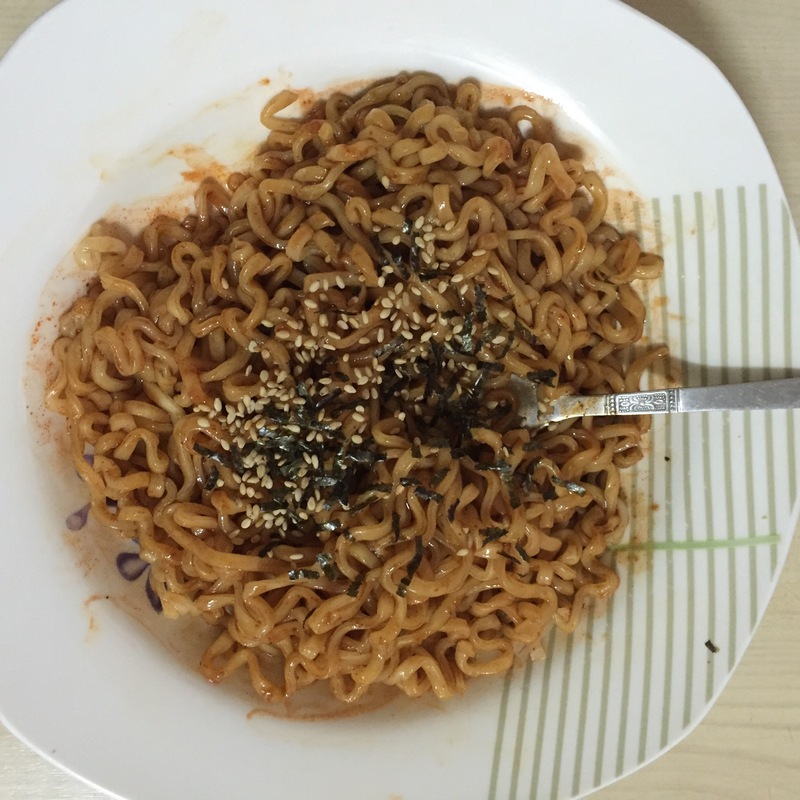 I still have another Samyang, which I will eat later – and hopefully it will be much better. 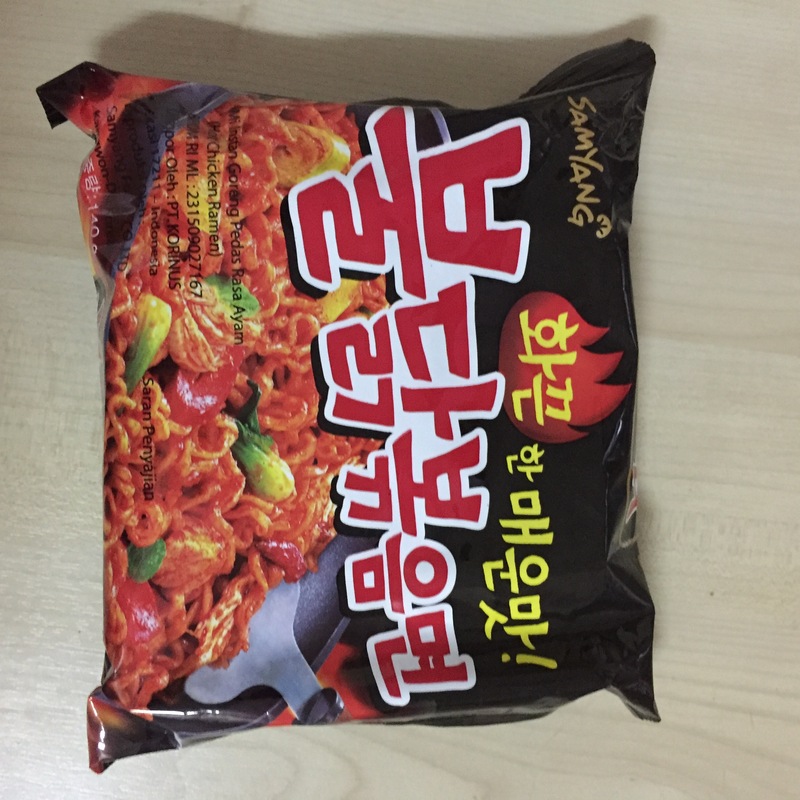 But I have noticed one thing about Samyang: it’s got good heat. As for the flavors, I can’t comment much. The Kimchi one did taste like kimchi, but the first one, I wasn’t sure what it was. The flavors are subtle, which I’m not sure I appreciate or not. Samyang got a 7/10 from me. I love the portion though, y’all. The more, the better. ← Because I am human – that’s why!